A talk by Marek Bardoński, Senior Deep Learning Research Engineer, NVIDIA Switzerland. This is hosted by Ritchie Ng, Deep Learning Researcher, NExT Search Centre, NUS. We will be touching on cutting-edge applications of deep learning for self-driving cars and medical diagnostics. 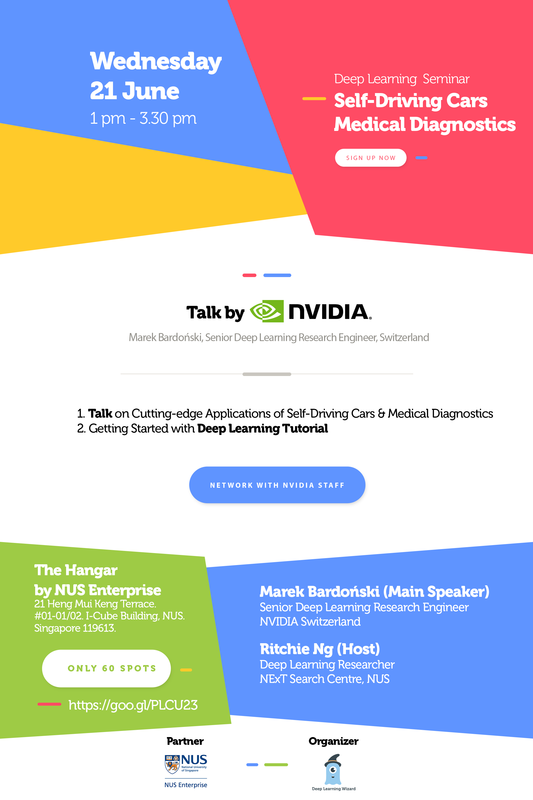 Also there will be a tutorial followed by networking with deep learning researchers from NUS and NVIDIA.